50 of the Most beautiful places in Slovenia – Things to do in Slovenia! Slovenia is a small but very nice country where you can find almost everything – mountains, lakes, caves, wild rivers, beautiful cities, castles, villages and even a piece of sea. First of all, you should know that Slovenia was part of Yugoslavia and therefore many people still do not know where actually lies. Furthermore, it is often confused with Slovakia, which has the same problem as it was a part of the Czechoslovakia. Yet both countries are almost neighbours, having just Hungary between them. Even the flag is similar. 🙂 But really! This is Slovenia! Look how beautiful it is! 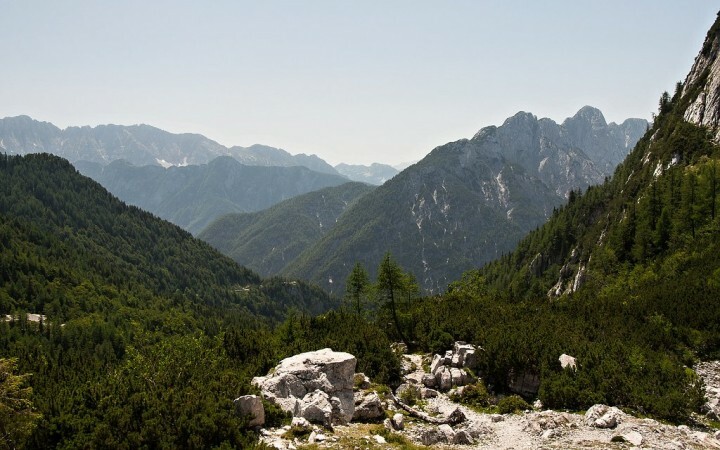 Slovenia has just one national park – Triglav National Park, more than 1200 natural monuments and more than 10,000 caves. Read more to learn about the most beautiful places in Slovenia. Soča river is one of the most beautiful rivers in Slovenia flowing through Triglav National Park and rising in the Julian Alps. It is very popular river among kayak and raft lovers. The river has a beautifully clear emerald blue water. The Soca River is a pearl among all European rivers, often considered to be the most beautiful river at all. Pure, blue-green, calm and wild waters are sought after by water-lovers from around the world. It originates at an altitude of 1050 meters, south of the Vršič Pass. Ljubljana is a capital of Slovenia and although it is still not overcrowded by tourists it boasts several cultural and historical treasures. The city surrounding is also full of natural monuments and protected parks. 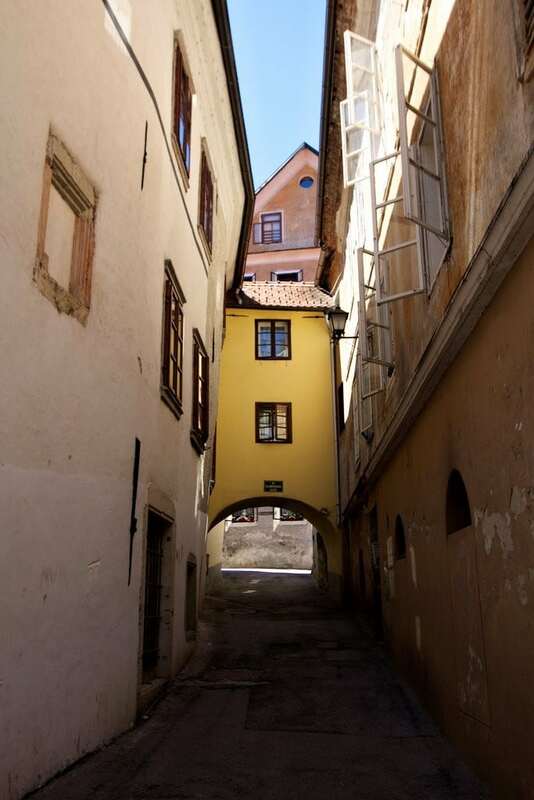 Ljubljana’s biggest attraction is, of course, its historical part that is full of beautiful Renaissance, Baroque and Art Nouveau buildings dotted with nice bars, pubs, and restaurants. 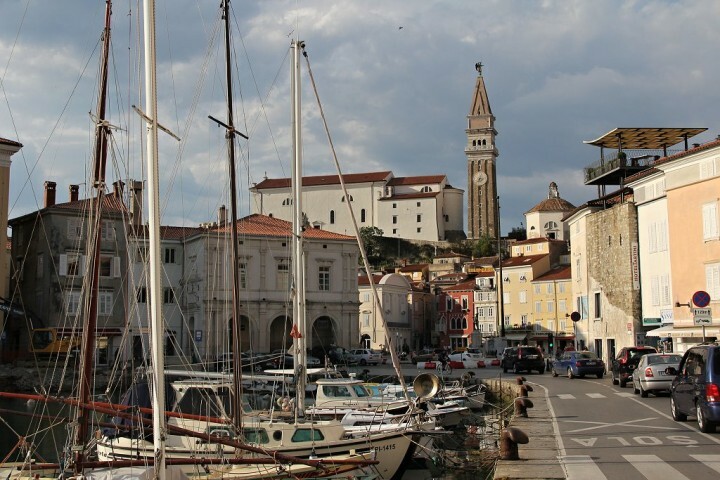 One of the most beautiful Slovenian cities is certainly Piran, situated on a picturesque peninsula between the Gulf of Piran and Bay of Strunjan. The old port is one big open-air museum with medieval buildings, interesting architecture and rich history. Its Church of St. George with a separate bell tower and baptistery has a lot of common with campanile of St. Marco in Venice. Eponymous town of Bled located on the shores of the lake is well-known spa resort and tourist centre. Beautiful views over the lake can be enjoyed from the castle standing on the shores as well. I love unique accommodation! 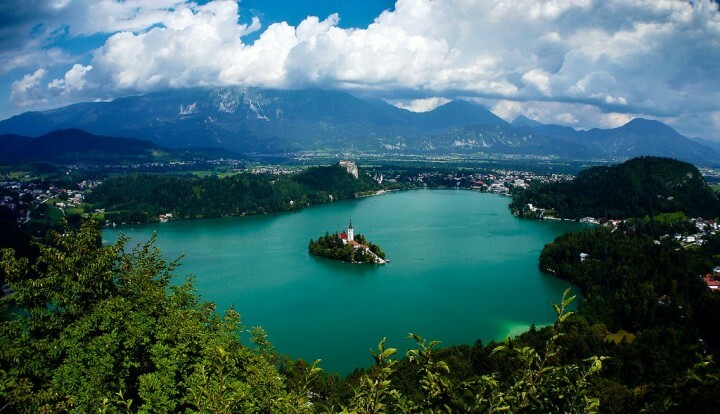 And Lake Bled is home to a very special one! You can spend a night up there in the trees! 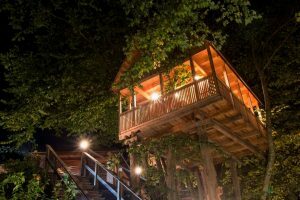 Garden Village Bled has Tree Houses, Pier Tents, Glamping Tents as well as the Luxury Appartments prepared for you to stay in! Enjoy romantic, adventurous and exclusive holidays in the real nature! 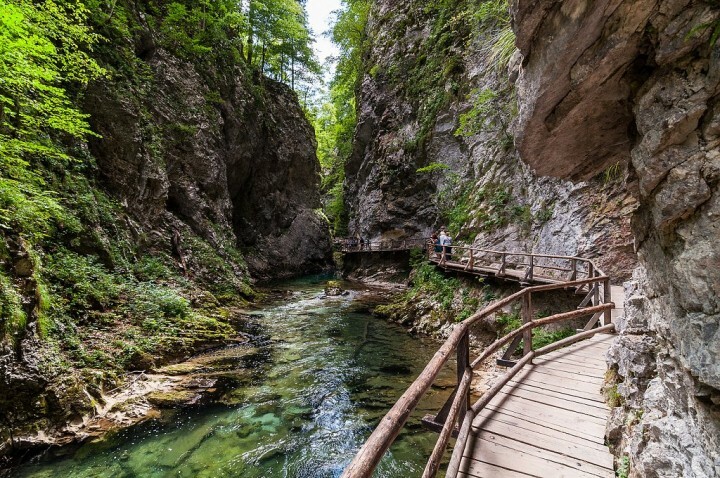 Vintgar Gorge is a natural monument, untouched and wild nature located in the heart of the Julian Alps close to Lake Bled and is part of Triglav National Park. The gorge was open to the public already in 1893. Construction of hiking trails with wooden pavements and bridges, anchored in the steep walls, was a demanding and very dangerous task at that time. Maribor, Slovenia’s second largest city, is the administrative centre of Slovenian Styria. The first mention comes from the year of 1208. Some of the best landmarks of the city include the Old City, surrounded by the remains of city walls and medieval towers, Grajski trg square with a castle, a museum and a baroque statue of St. Florian, Slomškov trg with its cathedral, Glavni trg with City Hall and the plague column, several churches, university, synagogue, Stara Trta (oldest vine in the world) and one of the oldest and largest wine cellars in Europe. The town is surrounded by picturesque hills and vineyards. 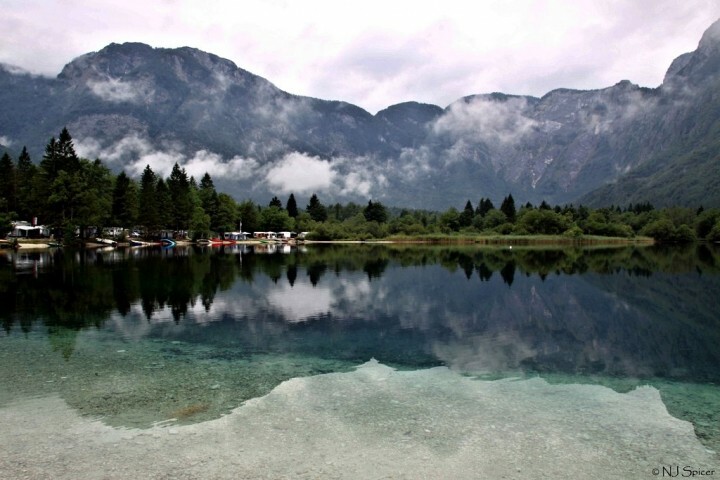 Lake Bohinj is Slovenia’s deepest lake with its depth of 44.5 meters. It is of glacial origin situated at an altitude of 532 meters above sea level. There are not so many tourists as at the more famous Bled lake but don’t worry, it’s equally beautiful! 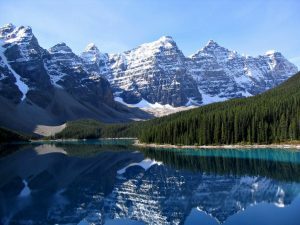 Once you see the surrounding mountains reflecting in the calm lake surface you’ll understand why is this once forgotten part of the world called God’s Paradise! Take a walk around the lake, rent a bike or canoe, or just relax on its shores! 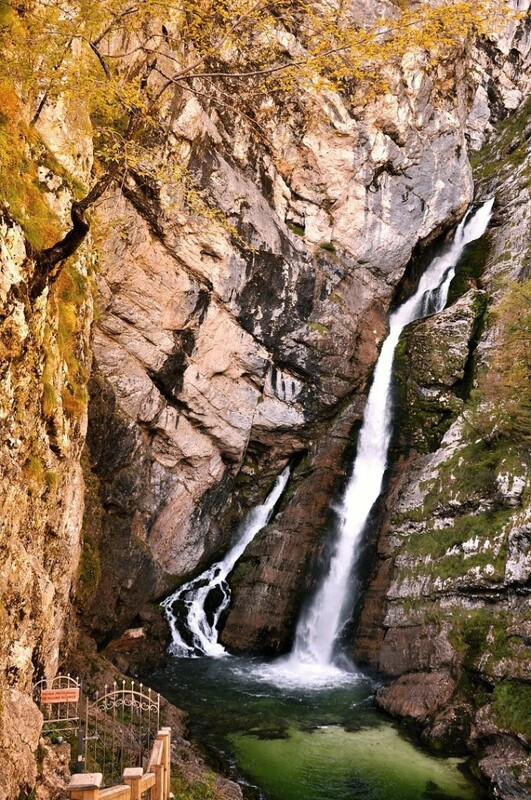 The most visited and the most romantic place in its vicinity is Savica waterfall. You can get to it through a pavement and rocky stairs. It takes about 20 minutes and during the tour you can enjoy great views of the lake. 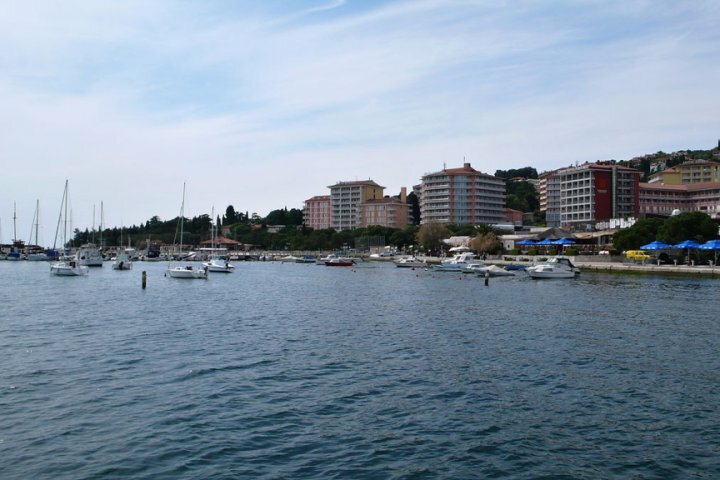 Portorož, translated as “marina rose”, is the famous seaside resort on the Slovenian coast. The first hotels and spa resorts were built here already in the 19th century. Today there are many hotel complexes with modern pools, restaurants offering various kinds of meal and the city attracts visitors with a plenty of things to do here with a casino, port and much more. 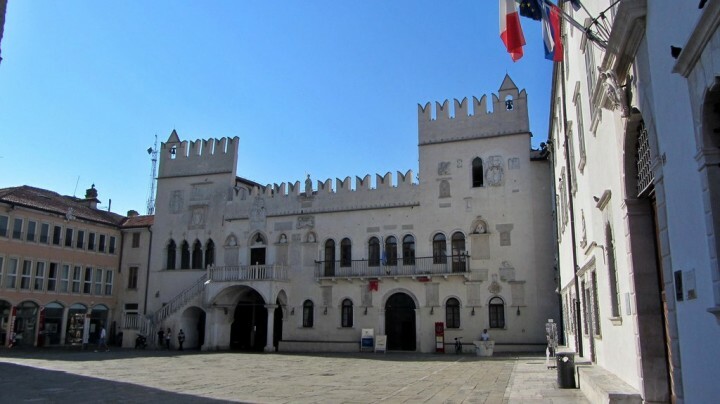 City of Koper lies in the northern part of Istria on the Adriatic coast. 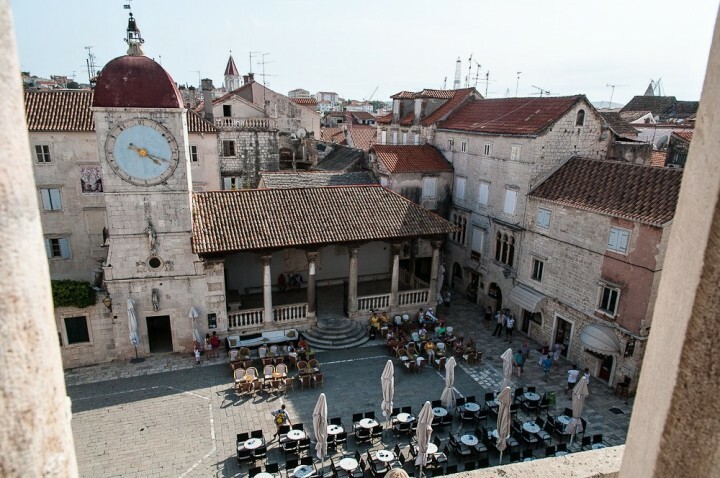 It is an important Adriatic port and main port of the country. In the summer it becomes a popular tourist centre. An important part of the Old Town is a beautiful Gothic – Renaissance Square Titov trg with colorful and beautifully decorated houses. Other monuments that you should not avoid are two palaces: Praetorian Palace and Belgramoni – Tacco Palace. 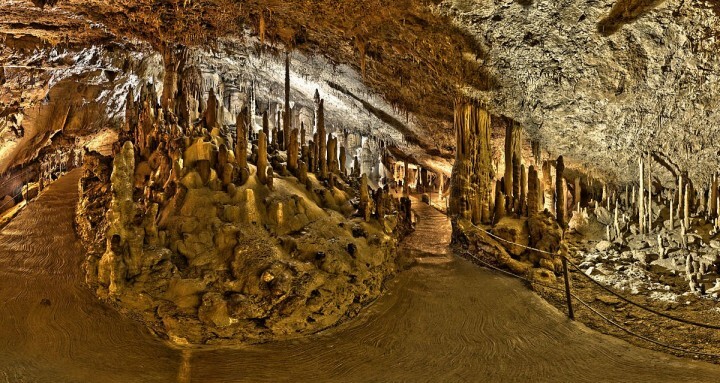 Škocjan Caves are one part of famous cave system in Slovenia, the second part is a little more famous Postojna Cave. But both of them are definitely among the most popular natural places in Slovenia. This is why these limestone caves, known in Slovenia as Škocjanske jame, were inscribed on UNESCO’s World Heritage List already in 1986. Škocjan Caves can be found in the south-west of the country in the Karst region, near the town of Koper and about 5 km from Divače. Velika Planina, sometimes dubbed as the Great Highland rises to a height of 1,666 meters above sea level. 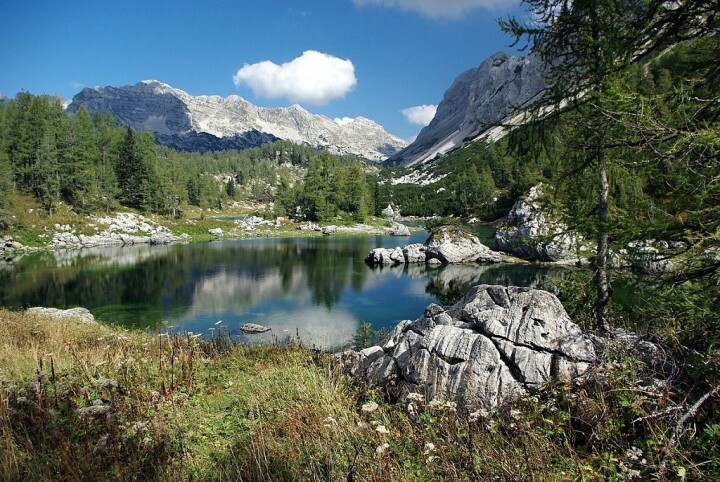 For the Slovenes, it is not a giant, as Triglav, Slovenia’s highest mountain, measures 2,864 meters. 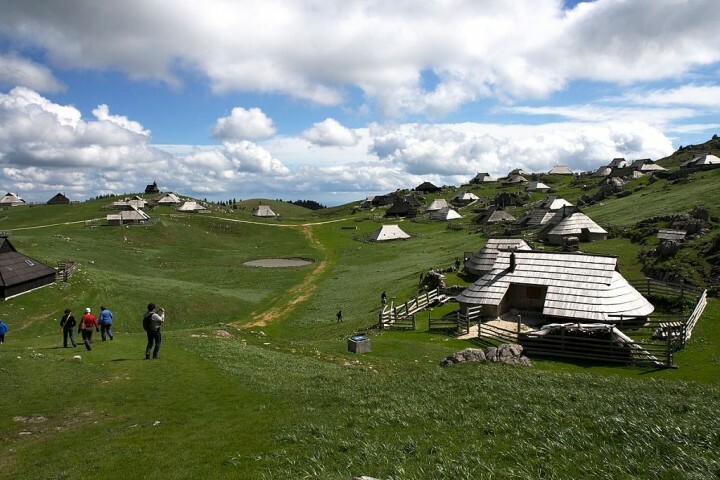 Velika Planina lies in Kamnik Alps and is a favourite destination for sports-lovers in winter and also in summer. However, it’s not that easy to climb up to its top. Idrija is located on the river Idrijca. 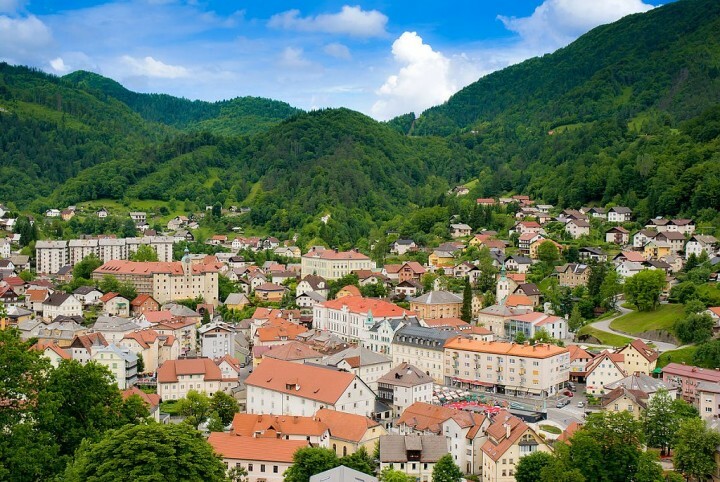 It’s the oldest Slovenian mining town, while there are the second largest mercury mines in the world. All the Technical and cultural monuments are under the municipal museum administration, which was declared the best in Europe in the care of technical monuments by the Council of Europe in 1997. Castle Gewerkenegg is the seat of the museum. The oldest part of the mercury mine (tunnel Antoni) dates back to 1500 and is visited by lots of visitors. Triglav Lakes Valley is a valley in the Julian Alps, between the slopes of Tičarica and Zelnarica mountains, south-west of Triglav. The valley is also called the Valley of seven lakes (Dolina sedmerih Jezer), although there are actually ten lakes, not seven. Vršič is the most famous pass in the Julian Alps. The first road was built here in the first world war for the Austro-Hungarian army by the Russian prisoners. 400 of them died due to avalanche. Vršič is a starting point for hikes: e.g. for medium experienced hikers to Mojstrovka (2332 m) – 2 hours or to Prisojnik (2547 m) – 3 1/2 hours for more experienced hikers. 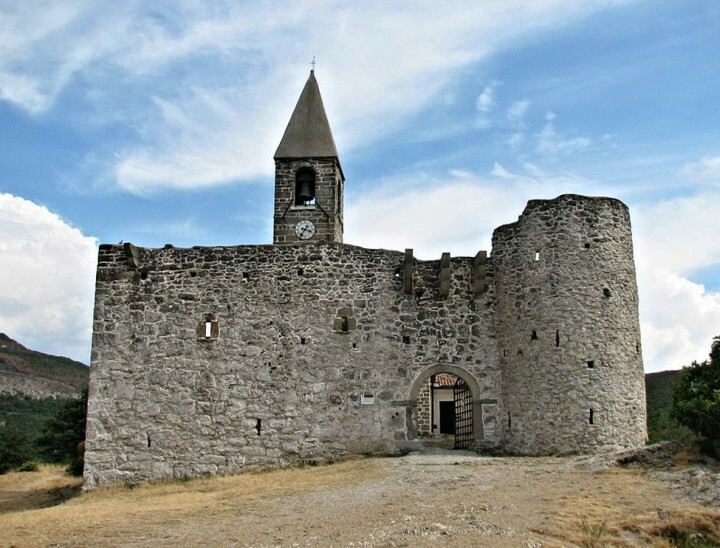 A small village situated 14 kilometres from the town of Koper, Hrastovlje is famous for its unique Holy Trinity Church, which is inscribed on UNESCO World Heritage List. Aisled Romanesque church from the 13th century and the vestry from the 19th century is surrounded by a defensive wall that was part of fortifications against Turkish raids. One of the natural features of the river Krka is a small island with a water castle Otočec, which is connected with shorelines by wooden bridges. The castle dates back to the 13th century. 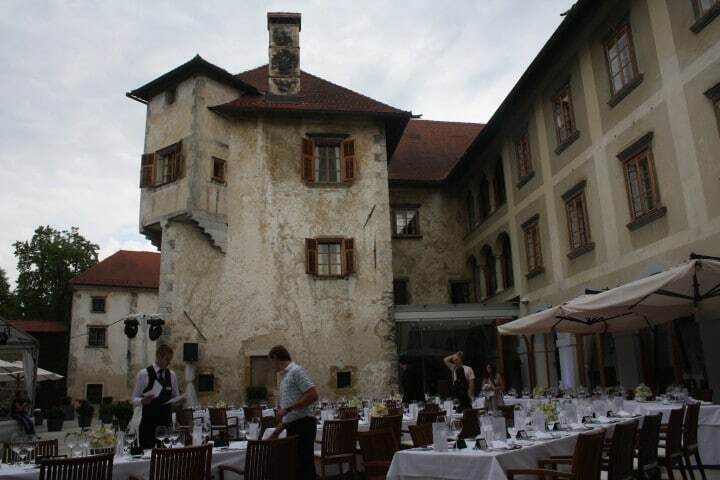 In 1942 it was destroyed by fire from the partisans and after the war, the castle was restored into a luxury hotel. 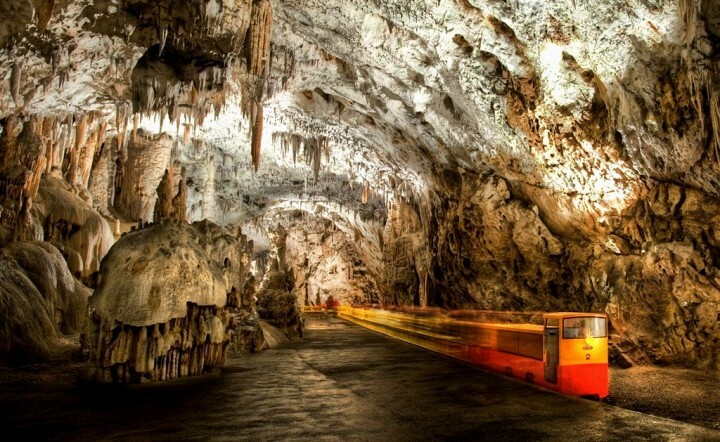 When visiting Slovenia, make sure to visit the cave complex Postojna Cave. The cave complex creation started 2 million years ago by its creators – river Pivka and rainwater. You get on a small train, and after 10 minutes you find yourself inside the amazing cave. The train is here since 1872, driven by human power. In 1914 it was replaced by a gas train, and in 1959 by electric train that is still in operation. 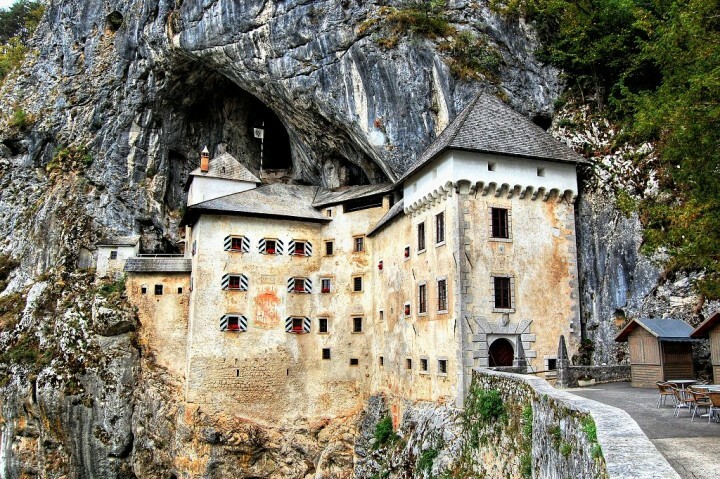 Predjama Castle is a romantic castle built in the rock above the village Predjama. 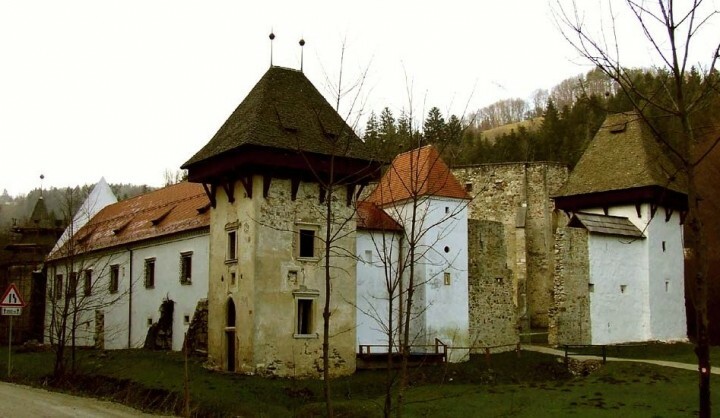 It is located just 9 km from the Postojna Cave. Most of the castles are located on the hill, but this one is different! Predjama Castle was built in the 12th century at the cave entrance. Žiče Carthusian Monastery in southern Styria was founded in 1164 as the first Carthusian monastery in the German lands, and the first outside of France and Italy. The monks came into Slovenian forests directly from the mother monastery Grande Chartreuse near Grenoble. One of the most beautiful and oldest towns in Slovenia, Škofja Loka is located away from the main Slovenian tourist routes and attractions. But, even so, Škofja Loka has unforgettable charm and worth a visit. It lies about 19 km west of the capital city at the confluence of the two branches of the river Sora. However, it is not just a nice town that worth a visit along with its castle, but the surrounding hilly countryside as well. Celje is the third largest Slovenian city lying at the confluence of Voglajna and Savinja rivers. It has a well-preserved medieval old town with many architectural monuments and ruins of the castle sitting high on a hill above the old town. In the past, the city was inhabited by the Illyrians and the Celts. The Romans built a settlement here already in the 5th century which was known as Claudia Celeia. It was the most important city in the Roman province of Noricum. It became renowned for its spas and temples and was called Troia secunda (second Troy). 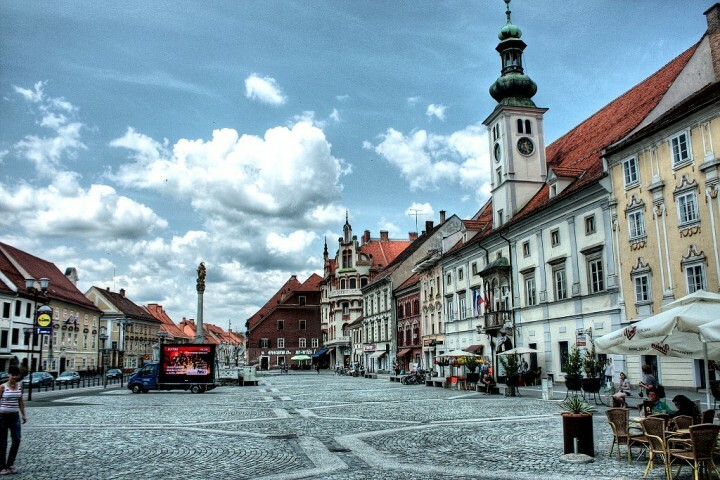 Ptuj is the oldest town in Slovenia. Actually, there are just a few streets in its picturesque old town centre. 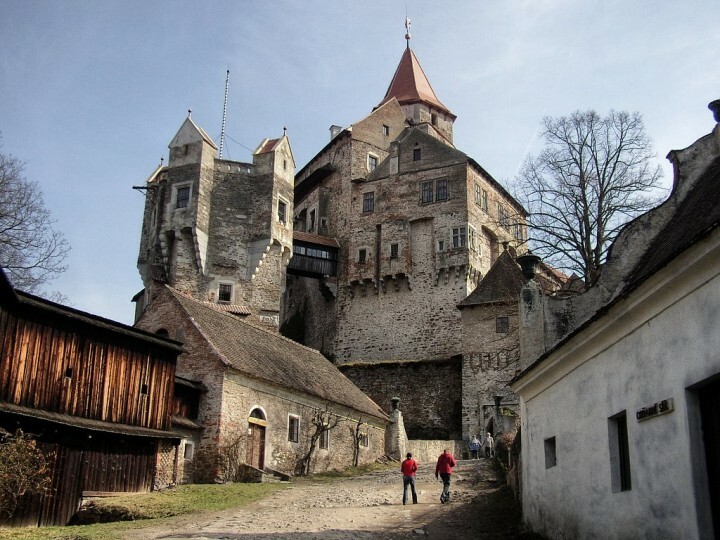 You can also climb up to the hill with Ptuj Castle towering above the town. The oldest part of the castle, western tower, dates back to the 10th century and is such the oldest secular building in Slovenia. One of the best time to visit Ptuj is during its 11 days long international carnival which is one of the biggest events in Slovenia. Lendava is the easternmost city of Slovenia. It is named after the German name of lime (Linden), which is the national symbol of the Slovenia. 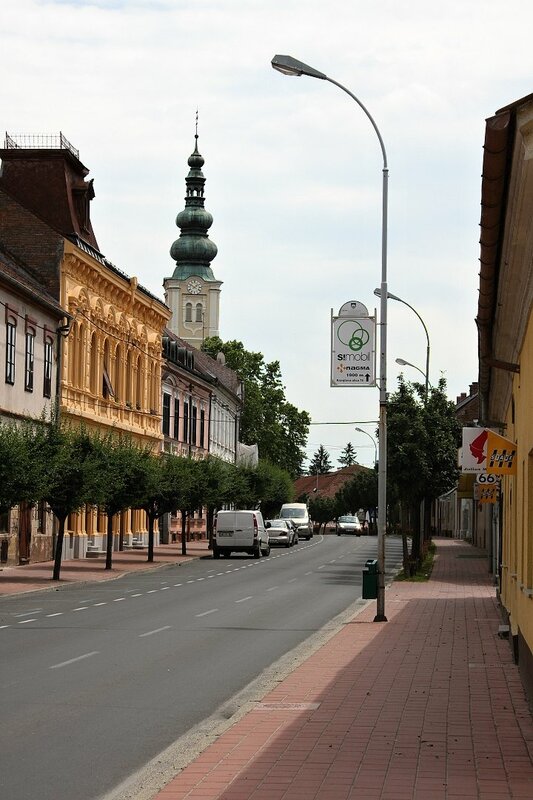 The town lies less than 5 km from the Hungarian and 7 km from the Croatian borders. The city is very famous for its local thermal spa. Once here do not forget to visit recently-built watchtower in Dolgovaške Gorice from where you can take a look far into Hungary, Slovenia, Croatia and even Austria. 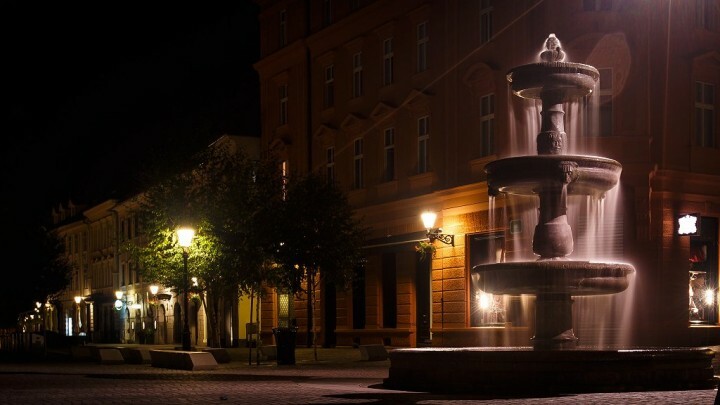 The town of Lendava is a place suitable for a pleasant holiday, full of peace and relaxation. 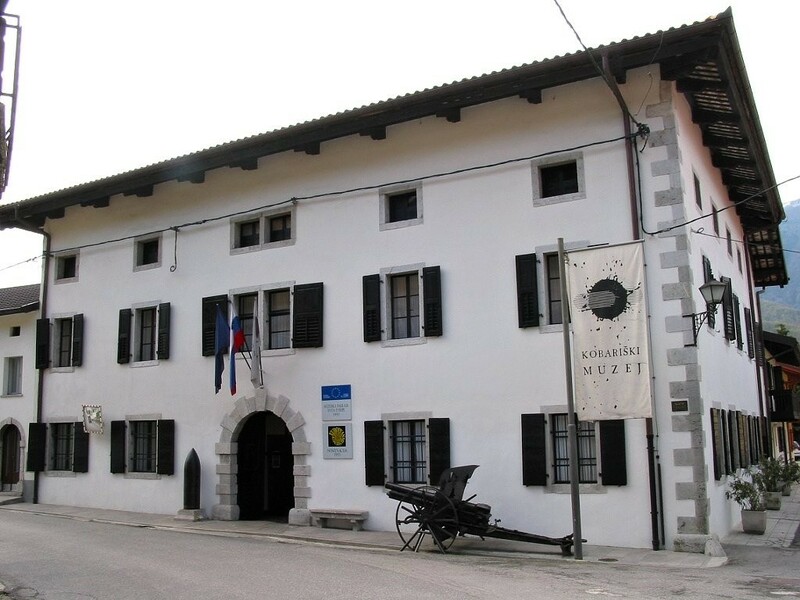 If you are interested in the history of World War I and want to learn something about the battles around Soča river valley, then you should visit Kobarid Museum. It was awarded the title of the Best Museum in Europe and won a Council of Europe award in 1993. You can find it in the village of Kobarid. 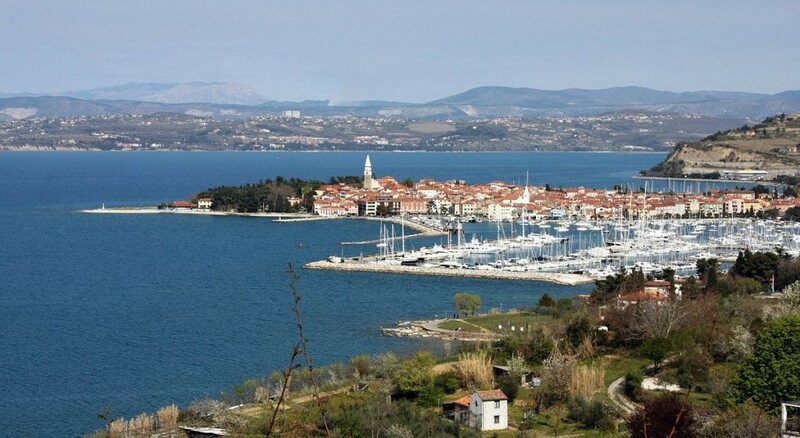 Izola is often referred to as the pearl of the Slovenian Adriatic coast. The port town of Izola resembles Venice. Izola is originally an island, which gradually merged with the mainland. You will like its charming narrow streets nestled in the narrow strip of land as well as its picturesque port. great wonderfull article. I see it from the comments that it is regulatly updated. Slovenia is trully a gem in the middle of the Europe. So many places, each to be looked at more then other. It is hard to make a list not to leave out at least one or two great sites. I see many new suggestions, but one that really shouldn’t miss is for sure Planica. Once (and I am sure soon again) largest ski jump in the world, with new nordic ski center, is a place where traditionally every year ski jumping season is finished. The largest ski jump has also a pipe line attraction to get everyone a thrill of bravest ski jumpers, pardon – ski flyers. I would add to that list also Slovenska vojna partizanska bolnica, Franja. IT’s a partisansts hospital placed between the rocks in Pasica gorge, worked during 2 world war (1943 – 1945). Worth seeing place! 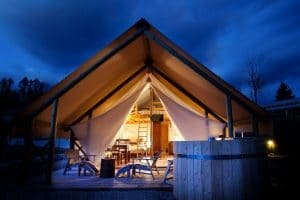 Hi,please tell me about your accommodation “glamping” what is it lik? My husband and I want to travel Slovenia and Croatia next year. Thinking 10 days each. We to nervous to drive in foreign country so will limit ourselves to public transportation. Otherwise we do not enjoy ourselves. We fly from Johannesburg SA. We have limited funds so have to stay economical. Which we always do when traveling abroad. As long as it is safe and clean and close to transport. Can you recommend a travel route please? Fly into what airport? Do 10 days Sloventia. Want to stay a few days in Bled, we love kayaking, fishing,hiking,and cycling if we can. We not great city people. Love nature!! We farmers in SA. Then go down to Croatia 10 days and do a few islands via public transport (a ferry or boat that go in between islands). And definitely spend 2 or more days in Dubrovnik. Thank you. Hi Marcia, I have added your request here, so that more people could help you with planning your trip. That glamping accommodation is not mine, unfortunately :), but it is one of the unique accommodation types in Slovenia as well as in Europe. If you love nature this would be ideal for you! 🙂 Although it is not cheap, so if you have limited budget then you have to find something else. 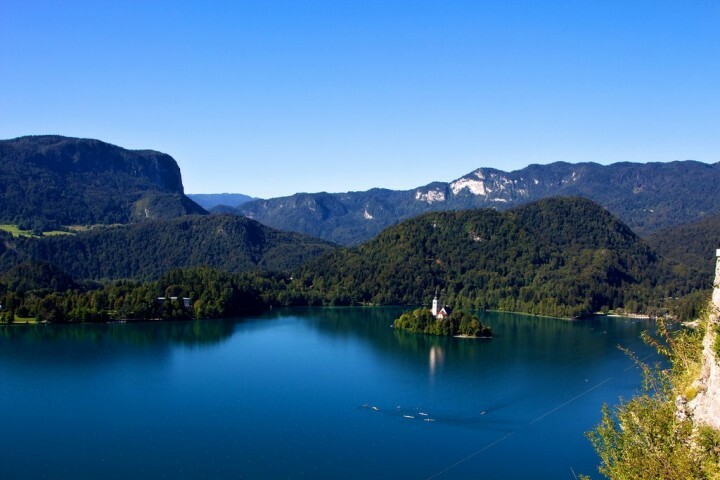 There is even a 5-star camping on the lake Bled with reasonable prices. It is good decision not to drive here and using public transport instead. Which city are you landing in Europe? Marcia, Slovenia is 100% safe. You don’t need to worry about what type of transportation will you take and what place you will visit. People are friendly and most of people speaks English. Similar in CROATIA where they have one of the worlds best coastline. Really nice article about Slovenia! I was there 2 weeks ago with a cruise ship. I did not expect much because the country was not known to me. My husband booked Lake Bled & Ljubljana Tour via http://kopertravel.com/ and I must say it was a very nice experience! I fell in love with this small country and would like to go there again one day. Thank you Urshula for your review and tip! It is definitely one of the most beautiful countries in Europe. Not only for the nature but also for amazing historical sights and romantic towns! Amazing country indeed. Had the chance to travel to Slovenia twice and I’m glad to say I saw couple of points on your list – Maribor, Ptuj, Kobarid and enjoyed rafting at Soca river. I really hope I will have the chance to go back there and explore more. I can truly say I FEEL sLOVEnia (I even have a shirt that says so). Great list even for us locals! However, I think you’ve made a mistake providing temperatures of Bohinj lake (no. 7). For instance, at the moment the temperature of water is around 22 degrees. Hi Jurij, thank you for your tip! I have just added Križna jama and few more places onto this amazing list! I can’t believe that it is possible to take 7 hours long tour in this cave! I definitely have to try this! Julius, great list! I would also recommend more of the north-eastern part of Slovenia….Radenci (mineral water, spa, marathon), Moravske Toplice (very popular spa and a nice village), Murska Sobota (center of the region, nice park and a castle), Goričko landscape park…..this part of Slovenia has also plenty to offer (for instance its cuisine, Prekmurska Gibanica, bujta repa…)even if it is not so known and commercial. I think it is unfairly overshadowed….nonetheless a great effort in putting up this list! Hi Rok, thank you for the places you suggested, I have just added all of them into the list! 🙂 They are all really nice! Wow..I can’t than thank You enough for using my picture of Kolpa river valley (number 36.) You have my deepest gratitude! Also, visit Slovenia and I invite you to Bela krajina region (South-Eastern Slovenia) we will be happy to have all of you! Hi Uroš, your pictures are great, it had to be wonderful looking down the river valley! 🙂 I need to do a round trip around your country and see all these jewels! 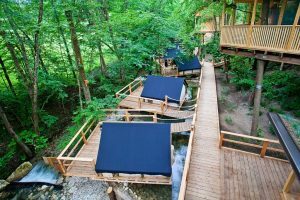 You might also want to add Spring of Krupa river on the list in Bela krajina, it has become quite popular in the last few years (also on my Flickr profile titled “Spring of Krupa river”) and Spring of Lahinja river (part of Lahinja regional park. I live in Bela krajina. I know how left out this region is in almost all tourist promotional material which is a shame. We have lots to see from rivers, to simple streams and karst springs, to caves, castles, Roman ruins, parks, etc. Hi Ksenja, which places do you mean? I’ll add them with pleasure! If you have some great photos of them, and would like to be featured on my site, please send them to me via https://www.facebook.com/traveltipy/ (message or publish a post on timeline) and please add some short description of the place. Thank you! Wonderful article, I must say! You really picked the gems of our beautiful country and I’m very thankful you chose to write about it. As someone who’s seen a lot of Europe already, I believe Slovenia deserves more media coverage so people can see how beautiful it really is. I added some of my suggestions of more sites you could add under other people’s comments already, but just one thing I’d maybe like to suggest would be that, if possible, you could add more photos next to the most picturesque sites you named (such as Ljubljana (especially Ljubljana), Koper – the view of the whole town, so that it looks more like the island it once was; there are some wonderful photos of aerial view of the city and cruise ships etc., …). I think there are some stunning photos on the internet that you could use for some of these sites and I’m sure it would make them even more attractive as you made them look! ? All in all, a wonderful article and I’m really happy and grateful you wrote about Slovenia so beautifully! Thank you! Thank you very much, Alex, for your positive review! Such comments make me more satisfied with my work, it seems like it’s not useless then to spend hours writing and looking for great places. And I also learn a lot of new! Hello. This article is great, but you totally forgot to mention Prlekija. It has wonderful landscape with a lot of wineyards. Also from this part of Slovenia come great wine. There also myth about Napoleon crossing these wineyards. While he was drinking wine, he said c’est bon, c’est bon. In french language this means very good. And because of this there is sort of wine called šipon (translated from french language). For more, you should visit this heaven on earth. wow heaven on earth! but its seem quite expensive, is it? It depends on where you come from, but I can clearly say it’s cheaper than all of the countries western of it, all in all, it’s rather very cheap for what it offers you! ? Thank you! It is really a wonderful country worth visiting! Hello! Great list, nice pictures! I agree. Lipica, Kras, Kolpa and Sečovlje should most definetely also be added! ? At least Lipica and Sečovlje! And I would also like to add Planica (the famous ski jumping hill) and speaking of winter sports, you could also mention Pokljuka and Kranjska Gora in there as well ? And maybe next to Lendava you could add in the mill on Mura, I think the only one left in Slovenia. The first four places were added, the rest you mentioned will be added soon! Thank you all for your help! Thank you once again for this wonderful article and you are more than welcome to come anytime and explore its beauties! Oh wauw, seems really like a hidden gem this country! Such amazingly stunning places! I was thinking of traveling to Slovenia in 2016. Pics n posts like yours are convincing me 😀 Good stuff. I love Slovenia! There is still so much to see. I only went to Ljubljana and Bled last time but it’s more than enough to know how beautiful thia country is. I love sLOVEnia as well! It is very nice country in the middle of Europe. I am Portuguese living in Slovenia since 2011. I love it. And I suggest you to include kamnika bistrica. It’s perfect place and also has hunting hut summer house designed by plesnik. You chose amazing country for your living! 🙂 Thanks for your tip, I’ll definitely add Kamniška Bistrica here as well. Oh my gosh, these are stunning!! Amazing list. Enjoyed the post, thanks! Uf… it means that this list needs some update again 🙂 It seems like Slovenia has so many great places like no other country in Europe 🙂 That’s great, I’ll add these places, thanks, Matic! I support Miha, but I personnally missed Trenta Valley. Every Slovenian has to reach the top of mountain Triglav once in their life. Olimje has one of the oldest farmacies in Europe, definitely worth visiting, as it is accompanied by modern spa area. One of the wonders of the world is Cerknisko jezero – Cerknisko lake, which sometimes disappears and re-appears. Incredible landscape and according to the legend, the witches have their gatherings at a nearby hill. All in all, wonderful selection, thank you! Hi Natasa, just send them to my email [email protected]. Thank you very much! 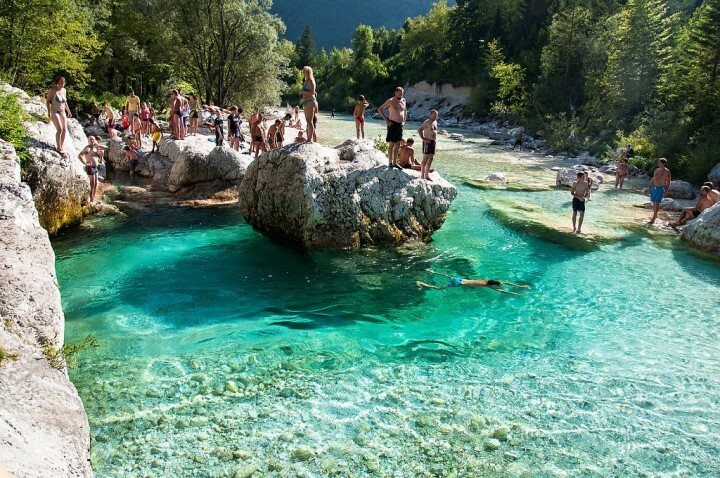 These pictures make me want to visit Slovenia ASAP! my name is Tjaša Kangler and I work as the head of Tourist Information Center in Slovenske Konjice. I saw that you included Charterhouse Žiče among the 20 top sights of Slovenia and that is really, really great (no. 19). I would like to send you one more attractive photo to use it on the website, if you would? The URL of the photo is here: http://tic.konjice.si/media/k2/items/cache/9267284e7733f4bec00d2e114d3f3ba1_XL.jpg. I can send it you you in a really good resolution. Please, let me know if this would be possible. What a great photo it is, Tjaša! I can use it, why not, but it would be really useful if you would have some more from inside or from other angles of this amazing monastery. 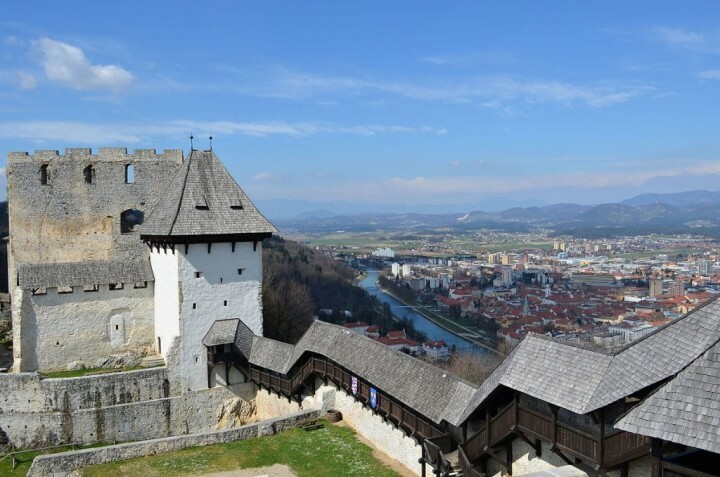 Perhaps you should include few more destinations such as Celje… a one of the oldest and historically important town in that region, Romans called it Celei. Thanks for your tip, Milena, I will add Celje here as well! Very nice place with that castle above the town! I like your selection. I like Ptuj too . 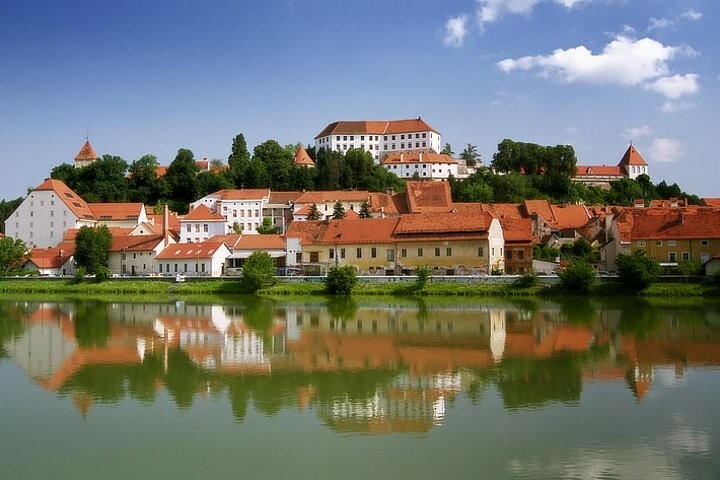 It is the oldest medieval town with great carneval in the middle winiyardsby river Drava. 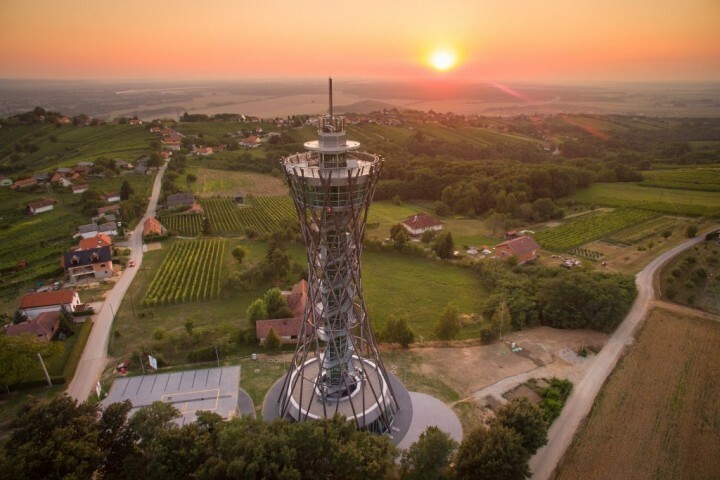 In Lendava we have new tower to see Panonnian plane of Slovenia, Hungary, Croatia and Austria and some thermal spas in this vineyards region with great culinary tradition. The photo of Portorož is actually just Piran from a different angle… Portorož is quite close though, a little deeper in Piran Bay. Thanks, Joe, I found these pictures that are free to use and were marked as Portorož, if you have some picture of Portorož, just send it to me [email protected] Anyway I will change this pictures today! Hi Jure, thanks, but I have already changed it yesterday! 🙂 This is why it is now Portorož 🙂 Thanks for your comments anyway! So sorry, I commented new photos… probably old that I didn’t saw were wrong. Hi there, thanks for your comment, Tim, I’ll correct this mistake! Hi. Picutre is OK. On the Picture is Portorož. Is the center of the city. On the picture you can see Life Class Resort Hotels. If you will google Life Clas Resort Portorož you will see is OK. Piran looks totaly different. Comparing to the rest of the Balkan countries it is expensive, but except for the most famous sites (that are indeed too expensive in my opinion as a native), you just need to know where to look to find cheap things, it’s not really that expensive after all ?